A car has smashed into the front of a house in Wolverhampton scattering rubble. A man, aged in his 70s, was upstairs in the home when the car crashed at around 11.15pm on Thursday. Emergency services were called to the property, in Croft Lane, in the Old Fallings area of the city. Ambulance crews assessed the man at the scene but he did not need hospital treatment. Fire crews worked to make sure the house was structurally safe after the car crashed into the lounge. A West Midlands Ambulance Service spokesman said: "We sent one ambulance and a paramedic officer to the scene. We assessed one man in his 70s who was from the house. "He was the only patient assessed." 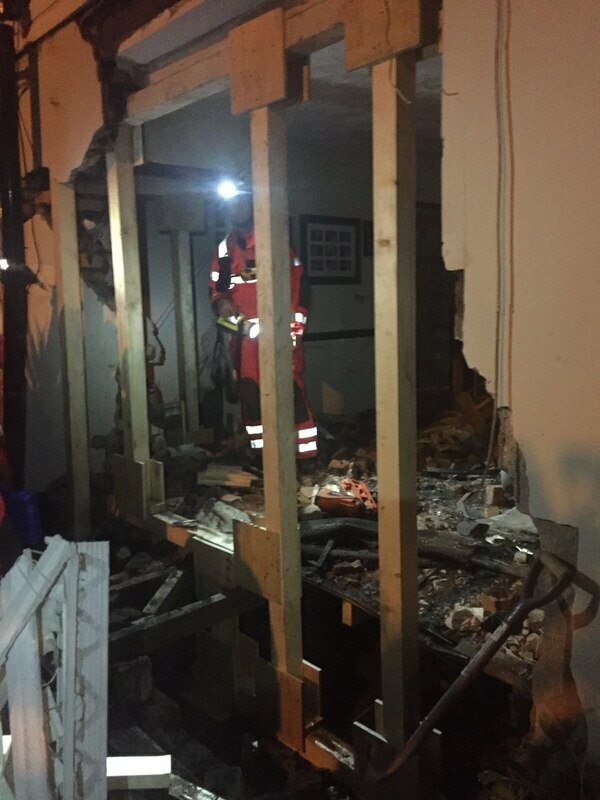 Technical Rescue from West Midlands Fire Service tweeted: "A busy night for Blue Watch, we were requested to make a property safe before and after a car was removed from its lounge! 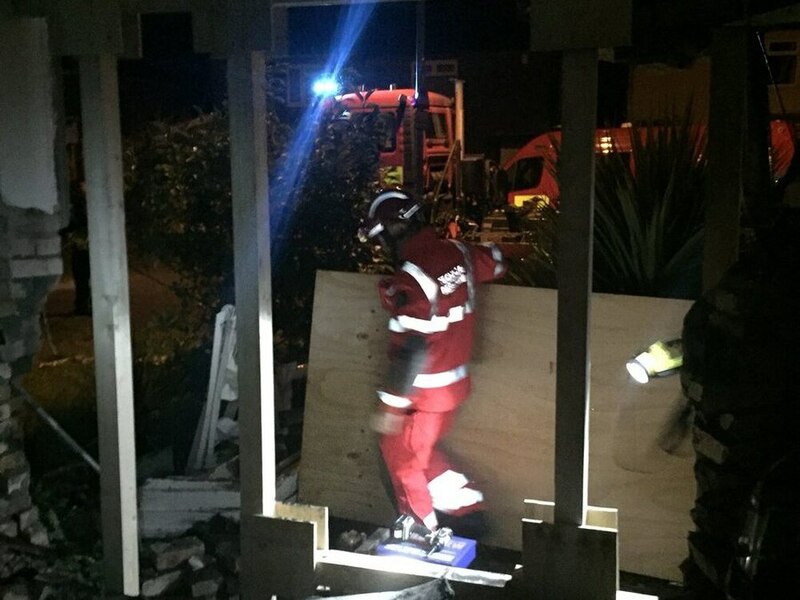 "Substantial structural damage was stabilised using our wood shoring system."